The good thing about phone and car connectivity these days is that you don’t need to get the latest car on the market. Even an older model can enjoy convenience technologies to use your phone effortlessly on the road. Add-ons like the Bluetooth have the same functionality as original equipment systems. Having a Bluetooth feature in your car will make it possible to play music and answer voice calls without holding your smartphone. It works by channeling the audio of your phone through the car’s speakers. However, some systems only work for voice calls. You need to choose aftermarket units that connect both music and voice. Bluetooth is the wireless technology allowing the establishment of the secure local network. It facilitates the short-range connection between mobile devices and the vehicle’s head unit. When you set up your Bluetooth network, it’s called pairing since the network involves a pair of mobile devices. For a successful Bluetooth pairing, the head unit and the phone should be compatible. Infotainment systems provide Bluetooth connectivity to enable seamless hands-free phone calls. It offers the same functionality as those from OEM and aftermarket Bluetooth vehicle audio systems. In some cases, a 12-volt charger and phone mount may also be needed to successfully connect your phone to your car. Universal system. If you don’t like pulling wires, the best option for you is the universal kit. It’s a standalone unit that works in almost all vehicles. The kit includes a microphone and built-in speaker. Most of the universal systems are attached to the sun visor; other units are mounted anywhere in the car using a tape or suction cups. Aftermarket units. Perhaps you’d like to replace the head unit of your car with better audio functionality. If so, you can opt for an aftermarket audio unit. This will need some labor while you get an aftermarket look for a new audio system. But don’t worry because there are easy-to-use aftermarket audio devices on the market. Vehicle-specific adapter. Another great option if you want to add Bluetooth functionality to your car but don’t want to mess with its stock stereo design is to use a vehicle-specific adapter. Factory adapters are specifically designed for vehicles of certain make and model. They provide high-quality audio and quick installation instructions. Streaming music wirelessly and using your mobile device hands-free is truly a great comfort when driving. Not to mention, you can connect two Bluetooth devices at the same time while streaming media in your vehicle. The second phone is connected automatically to send or receive messages, make calls, provide internet connection, and stream media. The mobile phones should support tethering and Bluetooth in order to be connected to your car stereo. The connection is done once for each device. After they are connected, you can enjoy the features of the Bluetooth device while driving to your destination. 1. Activate your phone’s Bluetooth. 2. Connect your vehicle online using your phone’s Bluetooth. Make sure it’s activated and tethered properly. For Android phones, it’s called personal hotspot and tethering for iPhones. If you’re using an iPhone, go to the tethering page and keep it open until you are connected to the internet. 3. Open your phone’s tile. If you see that no phone’s connected to your vehicle, click Add Phone. But if the phone is connected, click Change, and you will see a pop-up box where you can click Add Phone. Then you can view Bluetooth devices that are available. 4. Click your phone’s name that you want to connect to your car and simply follow the message prompt on the screen. For specific phones, you need to activate the message function. It’s also important to remember that not all mobile devices are compatible and show messages and contacts in the vehicle. If the operating system of your mobile device is being updated, there are chances that it will be disrupted. Delete your device from the vehicle and reconnect. You can check your car’s manual for more details regarding how to use Bluetooth connectivity. To get notifications in your vehicle’s display through the iOS device, activate the message notifications in your phone’s settings. Aside from Bluetooth, you can also connect your mobile phone to your vehicle via USB. Most cars nowadays have built-in USB in their stereo. It’s compatible with iPods and most phones. You can access your audio through the vehicle stereo interface. Another way is by using Auxiliary In. For newer car models, this is a standard that allows connectivity between devices. Through Auxiliary In, you can stream audio to your car’s stereo. All you need to do is use an auxiliary cable and connect it to your phone via the headphone jack. 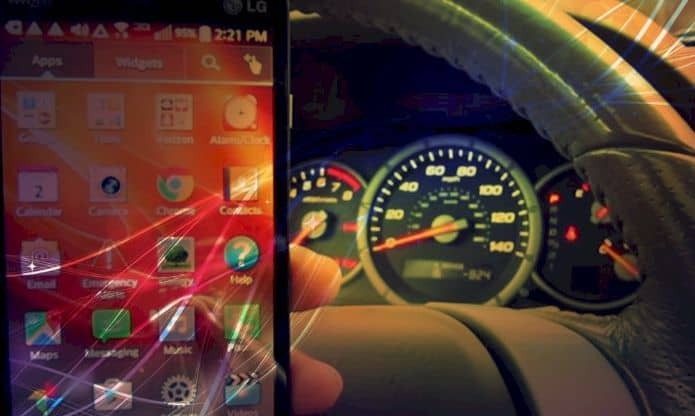 Now, you’re all set to enjoy streaming music, and hands-free voice calls with these how to connect your phone to your car tips. Get ready for a more convenient and hassle-free driving experience daily by connecting your mobile device to your vehicle.